MSI have showcased their X299 Tomahawk Arctic motherboard, which comes with an all-white aesthetic and a lot of PCIe and IO options. 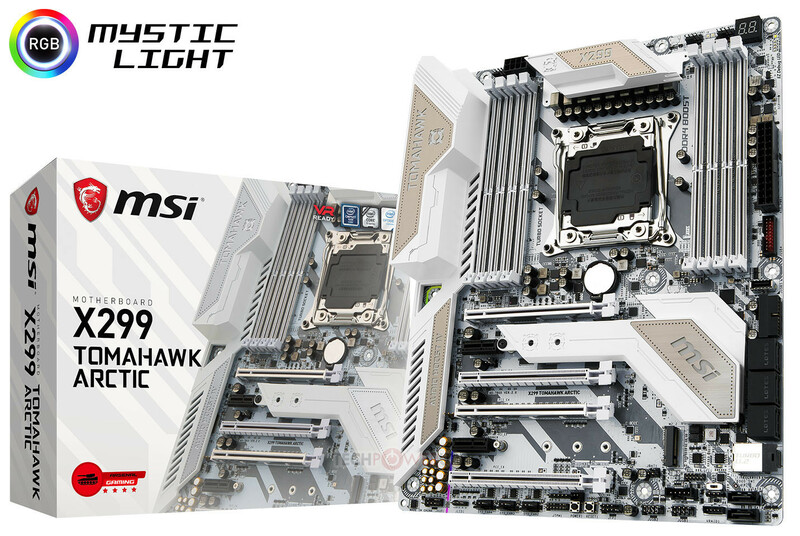 Read more on MSI's X299 Tomahawk Arctic motherboard. Hmm. Not sure I like the beige bits. excuse my ignorance but today the x299 NDA ends right? I like the look of this board but i would have toned down the beige. Its not so far off the ASUS Tuf arctic camo. Makes me want to paint them red REALLY bad if Im honest! Yeah took a second look and nope, really don't like that at all. Maybe they are not beige? maybe that's an optical illusion and they are actually like brushed alu or something? Edit. Looking at it again I am pretty sure they are brushed alu. If you look at the pic on here there is a shot of the board on the box and then a board above it. They look silver in the box pic. I Googled around and there was a load of them showing it looking like alu but the links have been deleted, hinting that some one may have uploaded them before they were allowed to. It kinda looks leathery in the pic. Nasty, but I am pretty sure they're brushed silver. I had the same thought the moment i saw the picture. MSI is ramping up with X299 board design. I didn't like previous ones, but these are very pretty. I just hope they have ironed out BIOS.